Stainless Steel Glass Silver Lantrn - VGGIFT | is a very good gift Supplier. Adorning house with lantern is in fashion these days. 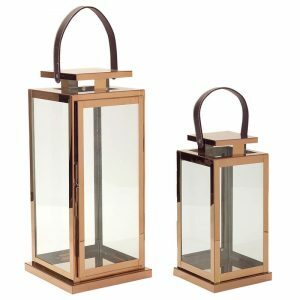 Do not stay back, follow the trend and get hold of this trendy set of lantern. Adorning house with lantern is in fashion these days. Do not stay back, follow the trend and get hold of this trendy set of lantern. Lanterns in the ambiance add aesthetic, artistic and blissful touch. 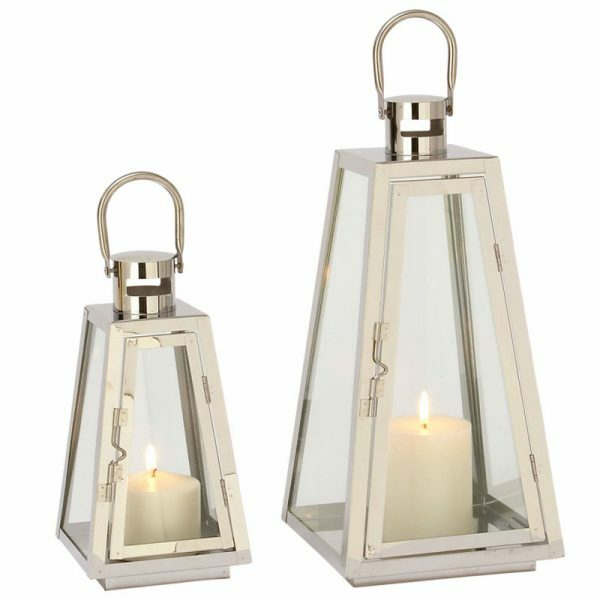 These Lanterns are creation that will go with range of home interior. Made using quality material i.e. 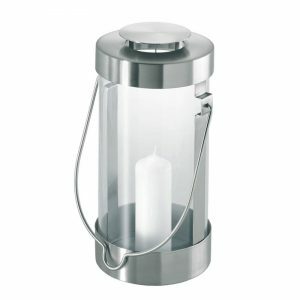 stainless steel and glass, these lanterns have silver finish. Featuring square shape these lanterns are tapering towards the top. These lanterns have loop atop hence you get chance to dangle it to the ceiling. 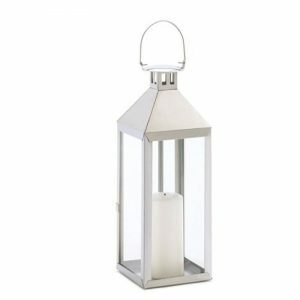 You can use this lantern as adecor in the drawing room, bedroom or kitchen. It can be part of outdoordecor it can be dangle in the corridor, garden or backyard. These lanterns will make a wonderful gift for dear persons. These lanterns are easy to clean and maintain. On special occasion these lanterns can be used to light up the ambiance. 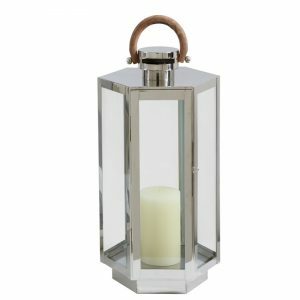 If you have liked the lantern then get it home!